Who are fraternity men? They are military heroes, servicemen, strong and inspirational men, musicians, celebrities, pastors, activists, humanitarians, visionaries, athletes, and so much more. 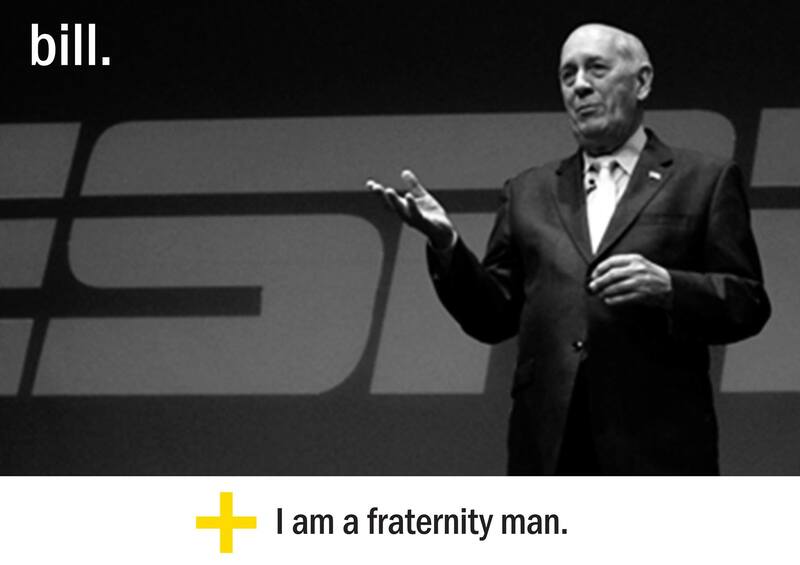 For example, we’re proud to have Bill Rasmussen, “The Father of Cable Sports” and the Co-Founder of ESPN, as a fellow Lambda Chi brother. There is plenty of inspiration out there in the fraternity world and one way to find it is at I Am a Fraternity Man’s Facebook page. Check it out for your daily dose of fraternity news and submit your own stories about outstanding brothers right here in Gamma-Psi Chapter.